The banks of the Seine—famously the home of Notre Dame, dozens of stunning bridges, and countless boats—will get one more star this fall. Opening this September is a bateau that promises to break the mold of the expected restaurant barges that line the river. 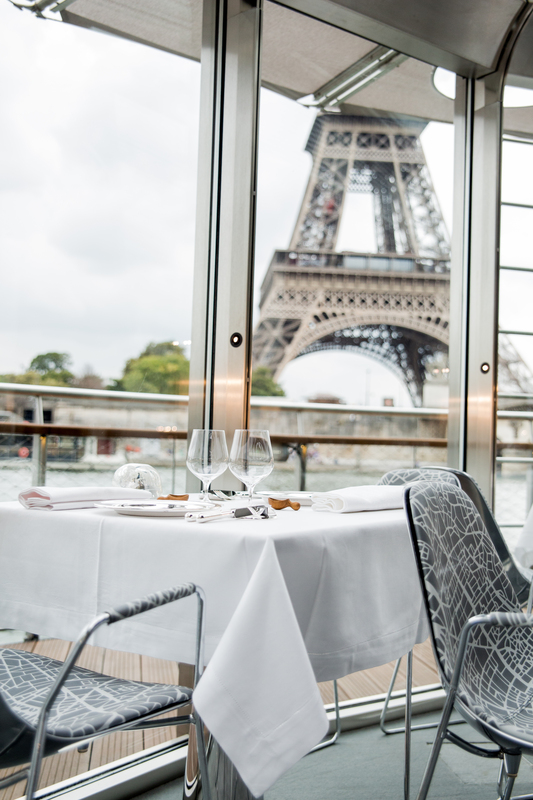 Alain Ducasse, whose name is nearly as synonymous with French culture as the Eiffel Tower, is opening Ducasse sur Seine on Sept 10. The restaurant, designed by naval architect Gérard Ronzatti, was designed to bridge the worlds of naval and terrestrial design, evoking at turns Classical and Baroque architecture. The iconoclastic exterior is complemented by the simplicity of the interior. Designers Maurizio Galante and Tal Lancman attribute their inspiration to a simple white bowl of raspberries, picked in Versailles, that Ducasse served the duo in his Plaza Athenée restaurant. "This experience nurtured our approach of magnifying ordinary things, to introduce magic in everyday life,” said Lancman. Like all things in France, however, the most important consideration is the food. As is fitting for a restaurant on the Seine, the focus is on emblematic French cuisine, like “La volaille jaune fermière rôtie au beurre d’herbes” (roast chicken with herb butter) as well as regional dishes like the Lyonnais specialty “Le petit pâté chaud de pintade et foie gras” (Guinea fowl pâté with foie gras). Along with the atmosphere and menu, the third tier of French dining is wine—so naturally, Ducasse sur Seine offers the best from Burgundy to Bordeaux, serving the likes of Maison Leroy and Château Latour. 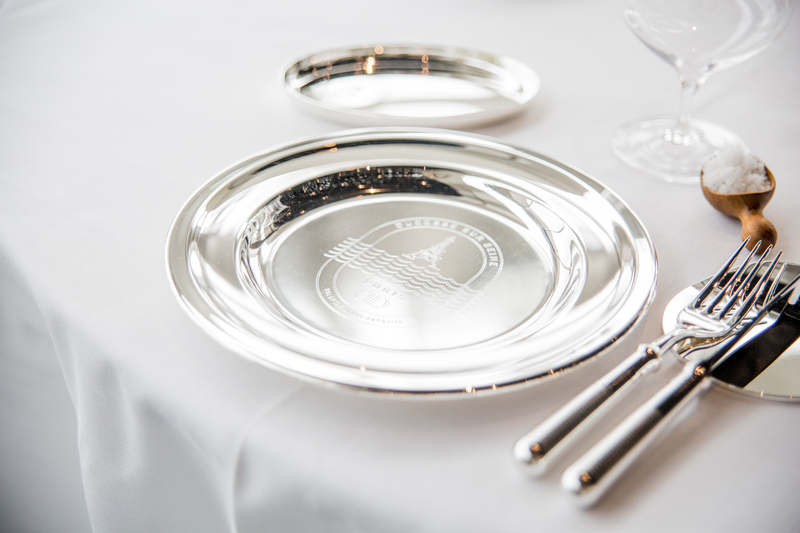 In the case of Ducasse sur Seine, it’s hard to know whether to break the bottle of champagne for luck, or ask it to be chilled and served alongside the amuse-bouches!